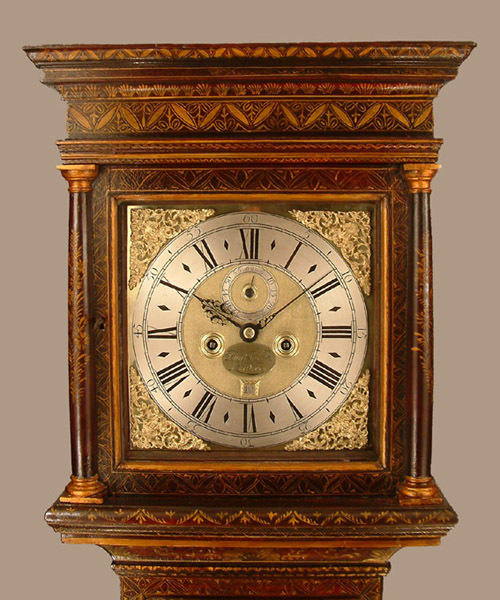 John Clark of London Longcase Lacquer Circa 1705 - Height 87in. 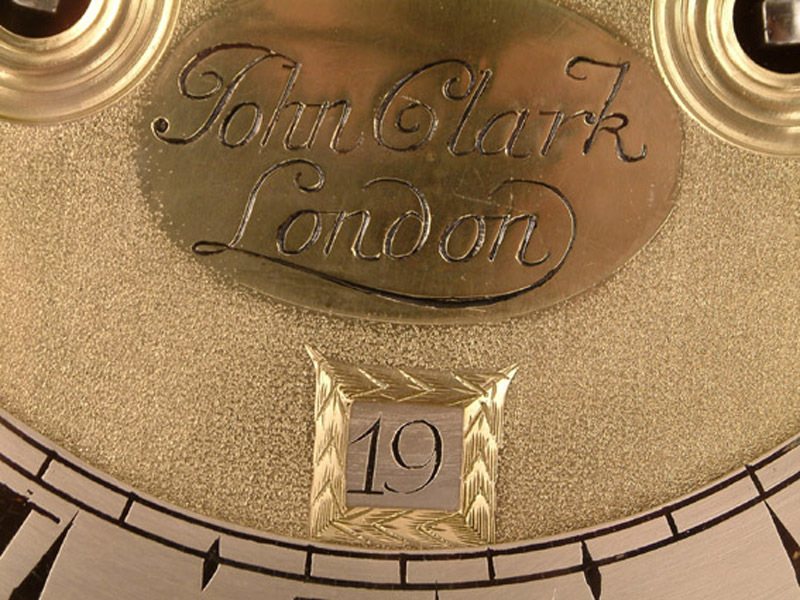 This Longcase Lacquer Archive's Maker - John Clark of London. 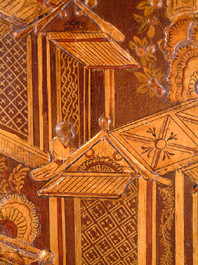 Many possible candidates of this name were working in London at the time this clock was made - circa 1705. 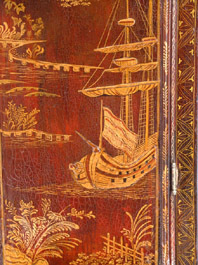 Slender, long door "bull's blood" dark red lacquer case of excellent proportions with gilt chinoiseries featuring figures, a ship and pavilions. 11" square brass dial with silvered chapter ring, subsidiary seconds dial and wheatear edge engraved square date box. Blued cut steel hands. High quality finned, ringed and knopped 5 pillar movement with hourly ( inside countwheel )striking on a single bell. John Clark of London. Many possible candidates of this name were working in London at the time this clock was made - circa 1705.